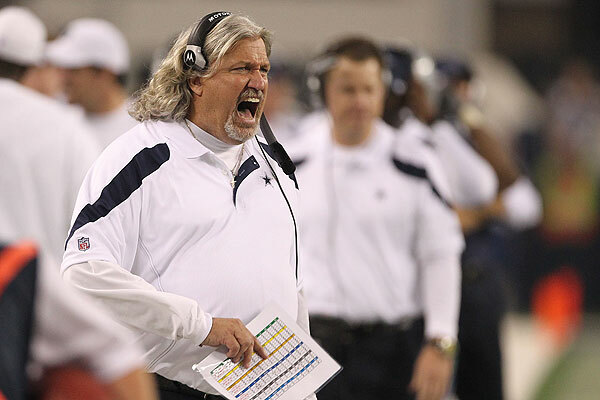 NFL Forum :: - UPDATE: Rob Ryan basically a done deal! UPDATE: Rob Ryan basically a done deal! Posted: Mon Feb 04, 2013 7:24 pm Post subject: UPDATE: Rob Ryan basically a done deal! Ok guys... It really looks like Rob Ryan WILL be our next DC. I know a lot of us have a lot of various opinions and mixed feelings on this subject but I honestly feel that Payton did the best thing (that was likely available) for this franchise. This team lost a lot of swagger and passion over the course of last season and with Ryan he brings a level of confidence and bravado with him that will surly rub off onto the rest of these defenders. A lot has been made about the rankings of Ryans defenses throughout the years but lets face it, He's never worked with an offense and quarterback quite like he has now. Like it or hate it... Ryan is our guy and I'm behind him 100% and can wait to get this thing started. I really think Ted Monachino is the guy we're going to hire. I actually really like Ted as the darkhorse... Harp, you seeing all these rumors trying to link Ed Reed to the Saints this offseason? I believe if Monachino is the guy, it would be more likely we target guys like Paul Kruger, Dan Ellerbe & Cary Williams. Agreed but with the recent comments Reed has made, I think he's headed to the Patriots. I could see us targetting Kruger and Cary Williams though. I think the Eagles are already hot on his trail. I'd be happy with Tomsula, Monachino, or Butler. I tell you one thing... A lot was made about Ed Donatell but when Tomsula's D-Line wasen't completely healthy, Donatell's secondary was exposed and Aldon Smith looked human. Really says a lot... Gotta develop those big boys upfront first and foremost! I just want the search to end already! Lol. It's eating me up on the inside to know! Yeah I haven't been impressed with Donatell's secondary, at all. I think we all kinda have that feeling... Im happy Payton is taking his time but man, we ain't getting even a sniff of who he might even be interested in. I honestly feel this will end by breaking news that someone has been hired, no heads up or anything... just BAM, here our new DC! I also think in the end it will be someone none of us are thinking about. I also have a feeling that it'll be someone none of us expect. I'd hope we'd hear about us interviewing certain coaches though. Ravens GM Ozzie Newsome has stated that he won't block Ted Monachino from interviewing for DC positions but no word from the 49ers though. Although both Jim Tomsula and Ed Donatell both expressed a desire to become a DC in meida day, the 49ers have in the past blocked their assistant coaches from interviewing for promotions elsewhere. Now that the Superbowl is done and over with, the Saints search for their new defensive coordinator is set to really take off (per Sean Payton). Been looking forward to this hiring for a long time. OK, So on ESPN 32 today Chris Mortensen reported that he still believes that the favorite for the Saints gig is Romeo Crennel. Says Sean Payton may be confiding in Bill Parcells for advice and that Parcells would absolutely suggest Romeo. Parcells also was the guy who suggested to Payton to hire Greg Williams at the time of his hire as well. Sean Payton stated a few days ago that he wanted a coach that has mastered the 34 scheme and in that case it clearly would be Crennel. Chris Mortensen (however we may feel about his reporting) has been known as a Bill Parcells source pipeline. My only question is, If Romeo is and does turn out to be the guy... what was the hold up? Also, If Romeo is the guy... we gots a long way to go fo dat kinda 2 gap scheme!!! Kind of want someone fresh and young. Wouldn't be upset with Crennel though. If he's the guy, what happens with Bunkley?